Why Does My Child Need Sealants? Dr. Vasag Bouzoghlanian and the team at Prestige Dental in Pasadena, CA assist patients young and old! We welcome children in our practice so they may learn about how to care for their smile. In fact, it has been shown that children who visit their dentist regularly will have a better relationship with the team and are less likely to develop dental anxieties as they age. Routine visits will strengthen the trust and comfort built between patients and staff over time. They will also help reinforce proper oral hygiene habits, helping children develop a foundation for excellent oral health. Children feel incredibly comfortable in our practice and can undergo a variety of treatments, including the application of dental sealants. 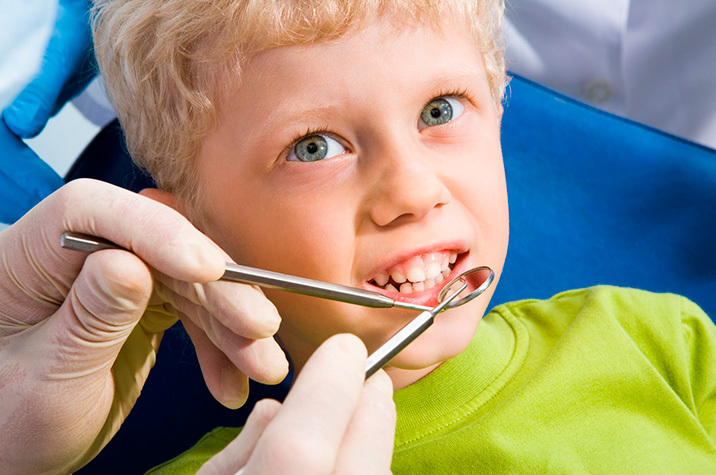 Why should children have dental sealants? Dental sealants are a great way to address problems associated with children and oral health. Children may not brush as effectively as their parental counterparts. Some teeth have deep pits and grooves that require special attention to reduce the risk of developing cavities. For children, we often recommend sealants because they offer an extra layer of protection. Sealants are applied by our dental staff right in the office during a standard visit. Children relax in the dental chair as our team applies this plastic material onto the enamel of the teeth in the troublesome areas. This seals off the tooth and reduces the depth of the grooves which are susceptible to developing cavities. It is best utilized on the molars in the back of the mouth. Without sealants, teeth that have formed with deep pits, fissures, and grooves may end up collecting food and are more likely to developed cavities. Sealants are a quick and comfortable solution to a common problem, and are applied without requiring anesthesia. Some adults who are at a higher risk for cavities may benefit from sealants as well. Patients of all ages can protect the chewing surfaces from decay. The cost of placing a sealant is much less than the cost, time, and trouble of treating cavities after they develop. Parents who are ready to learn more about pediatric dentistry are encouraged to book an appointment with Dr. Vasag Bouzoghlanian and the dedicated staff of Prestige Dental. Our Pasadena, CA area practice is equipped to handle patients of all ages and assist with a wide variety of dental concerns. Call (626) 577-2017 to schedule an appointment with our front office staff, or personally visit the practice at 1060 E. Green Street, #203 to meet our team and our state-of-the-art facility.